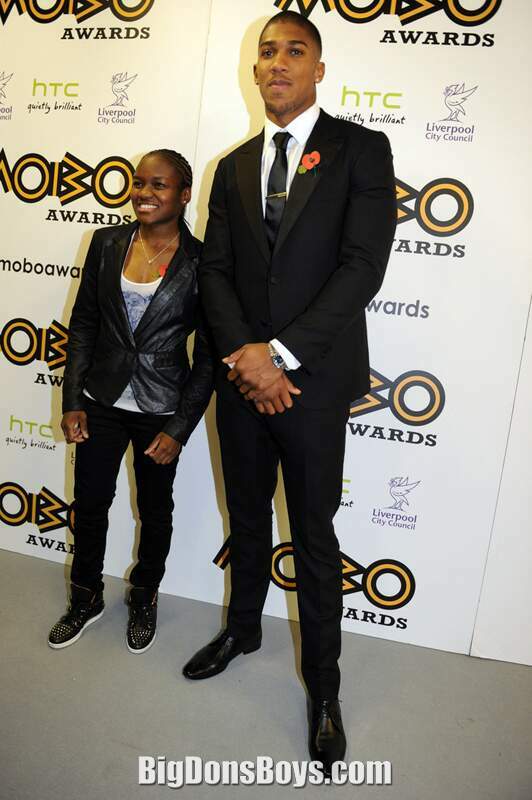 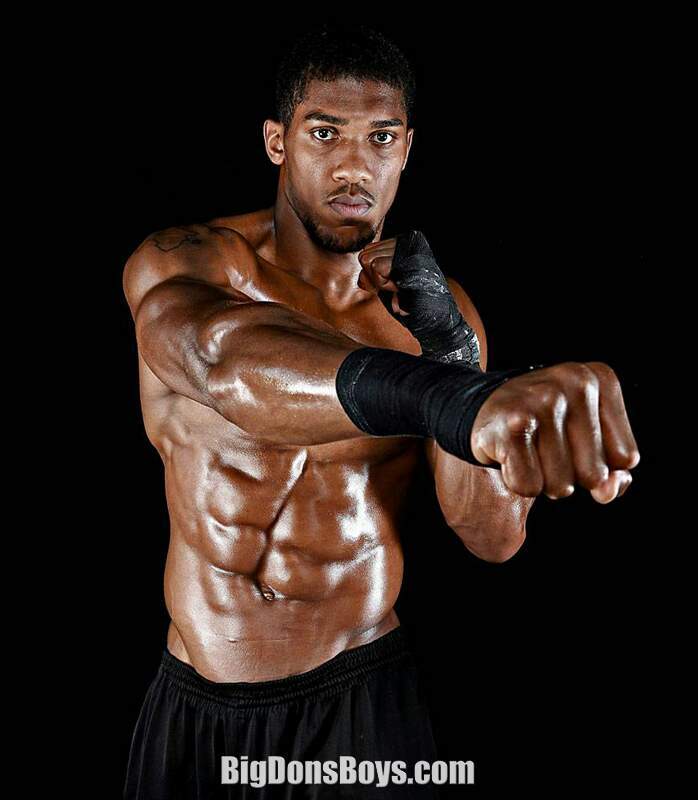 6'6" Anthony Joshua MBE (born 1989) is an English professional boxer from Watford, England competing in the heavyweight division. 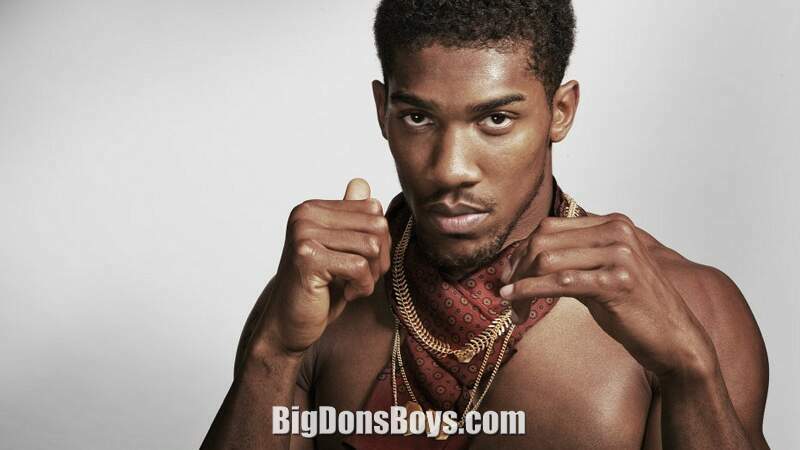 He is currently promoted by Matchroom Sport. 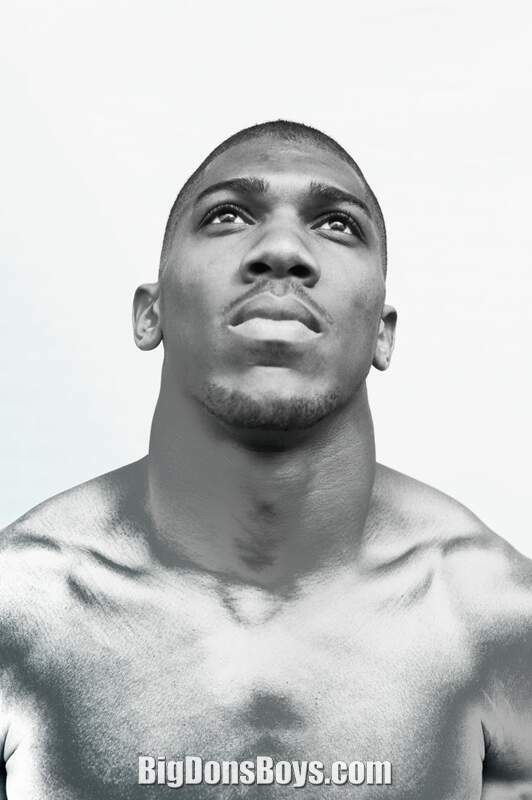 A late-starter in the sport, Joshua only took up boxing in 2007, aged 18, when his cousin suggested he take up the sport. 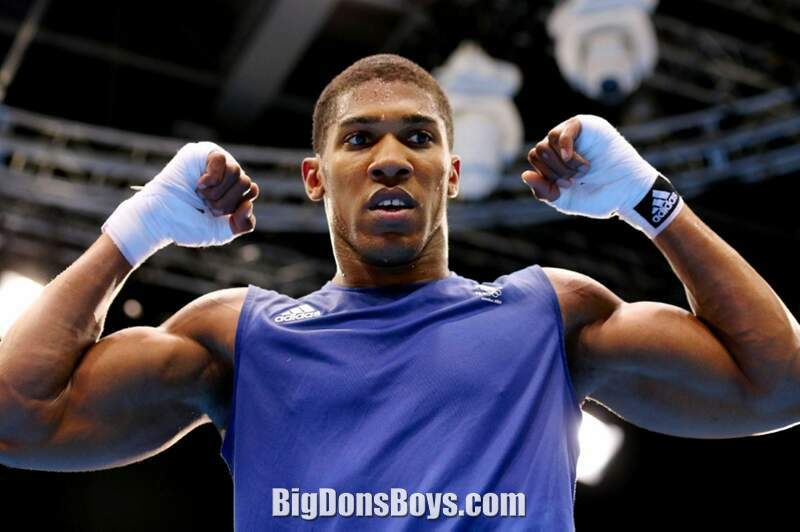 His club, Finchley ABC in Barnet, North London, is also home to professional heavyweight, Dereck Chisora. 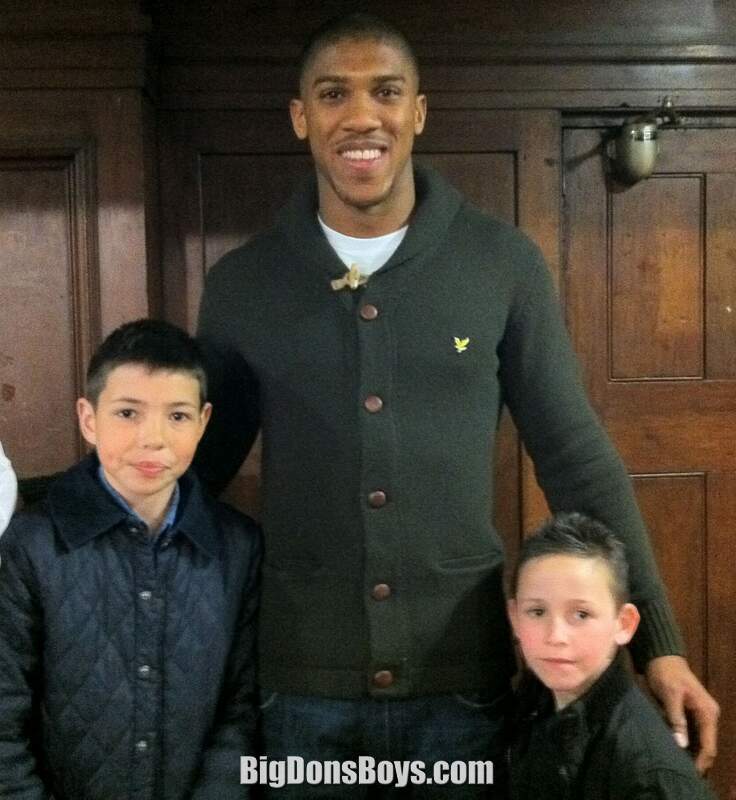 Joshua won the 2009 and 2010 Haringey Box Cup. 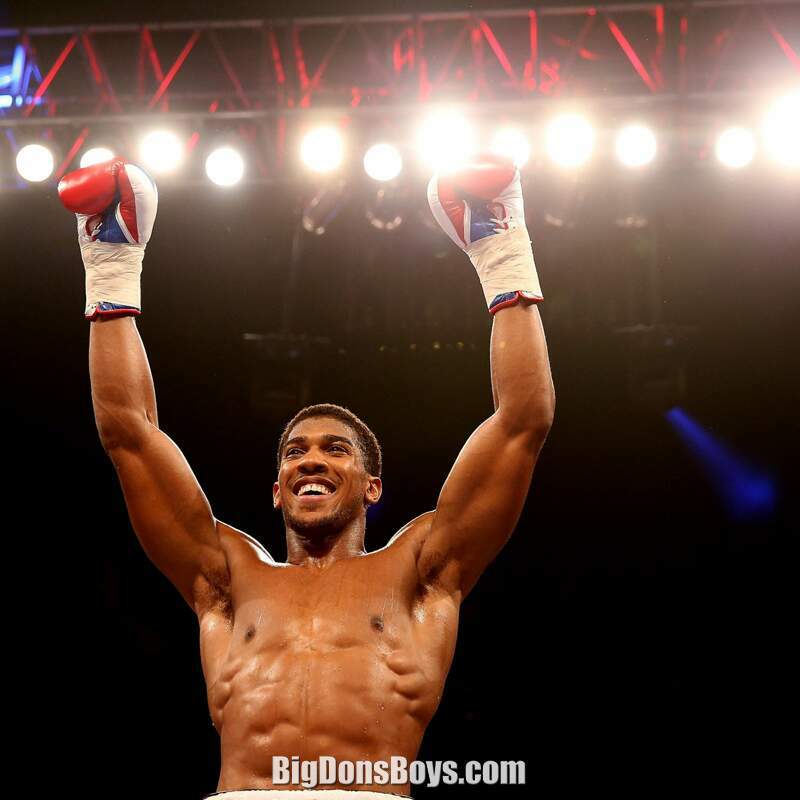 Joshua won the senior ABA Championships in 2010, in only his 18th bout, and later turned down £50,000 to turn professional. 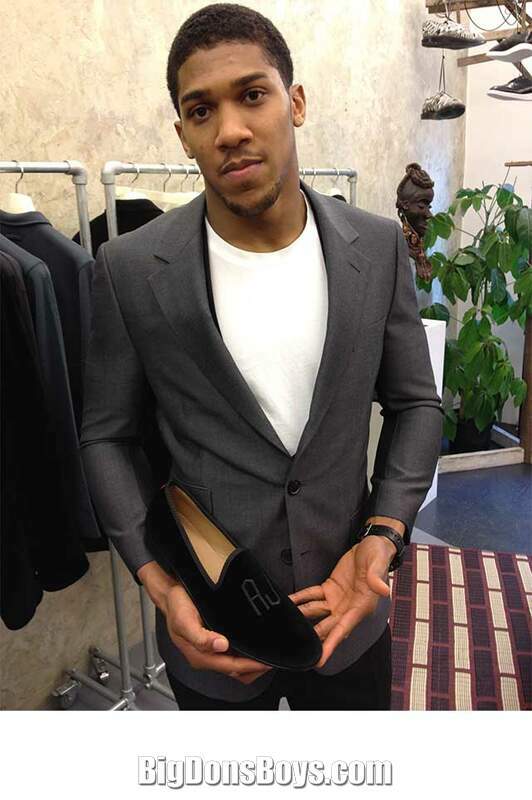 "Turning down that £50,000 was easy. 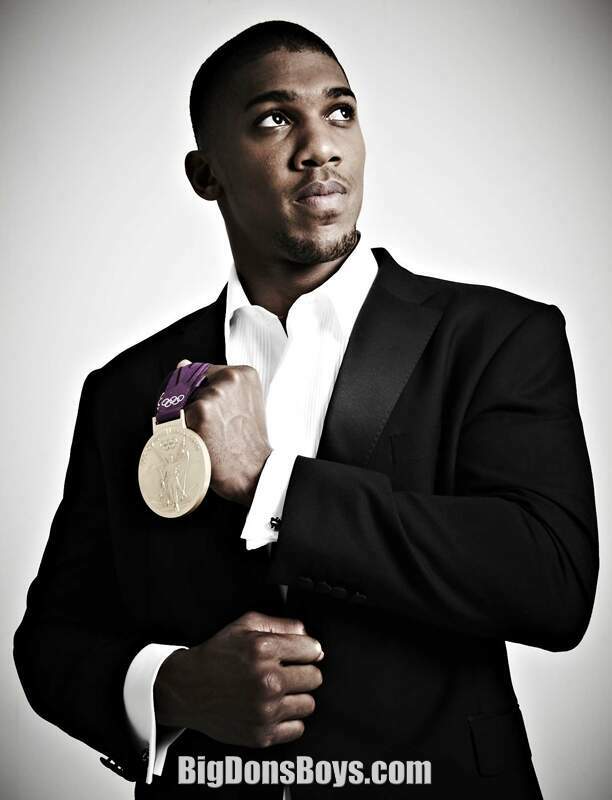 I didn't take up the sport for money, I want to win medals." 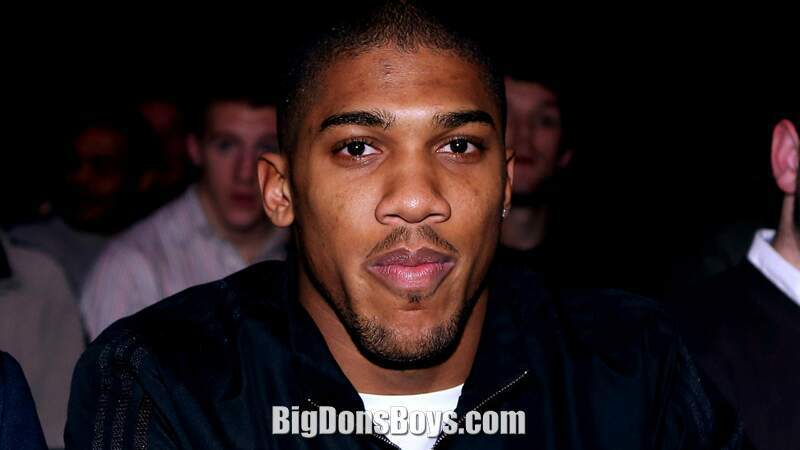 He also went on to win the same tournament the following year. 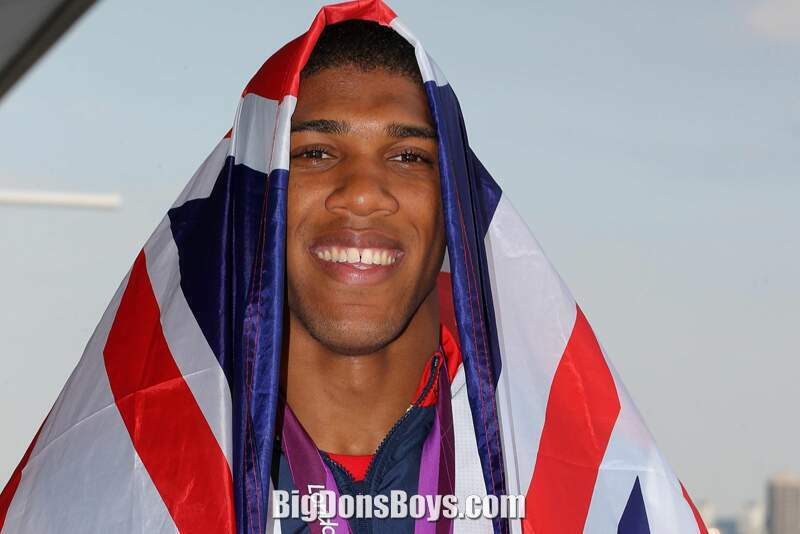 In 2010 his domestic success earned him a place on the GB Boxing team and later the same year he became British amateur champion at the GB Amateur Boxing Championships after defeating Amin Isa. 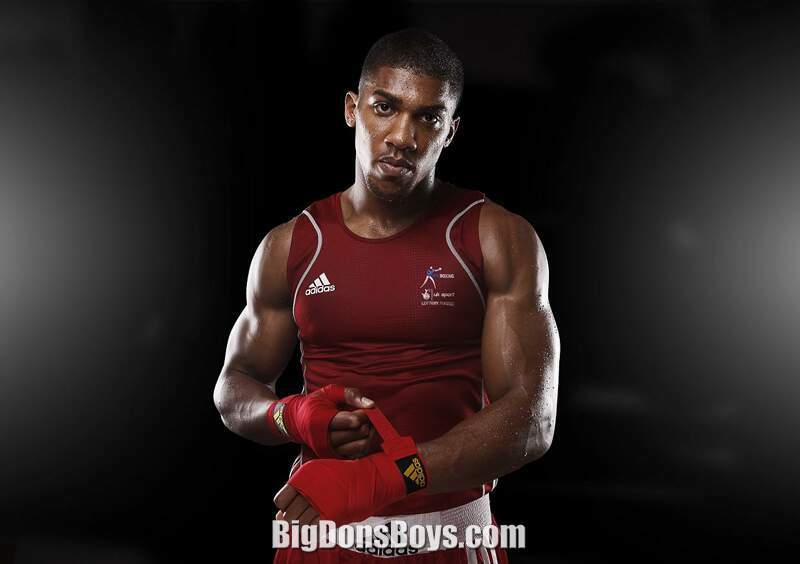 In October 2011 he was named Amateur Boxer of the Year by the Boxing Writers Club of Great Britain. 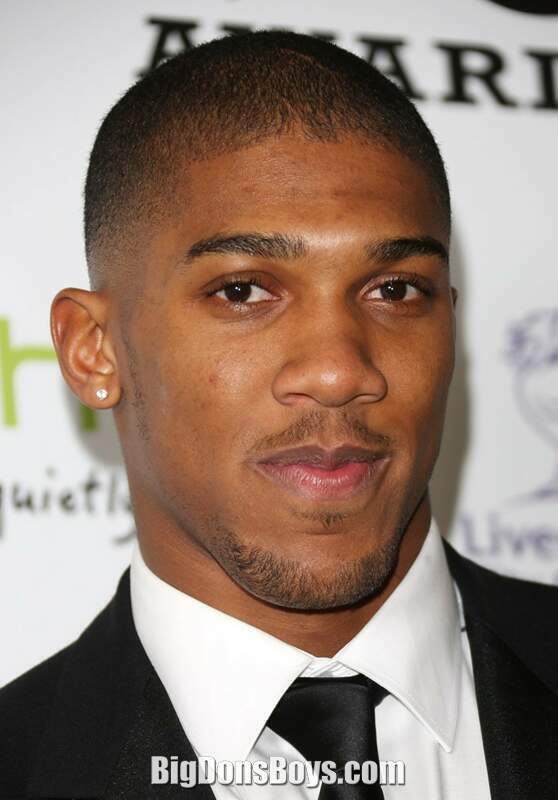 During the 2011 World Amateur Boxing Championships in Baku, Azerbaijan, Joshua marked his sudden arrival on the world scene when he beat Italian reigning World & Olympic champion Roberto Cammarelle, and went on to stop Erik Pfeifer of Germany in the semis before losing by a single point to local boxer, Magomedrasul Majidov. 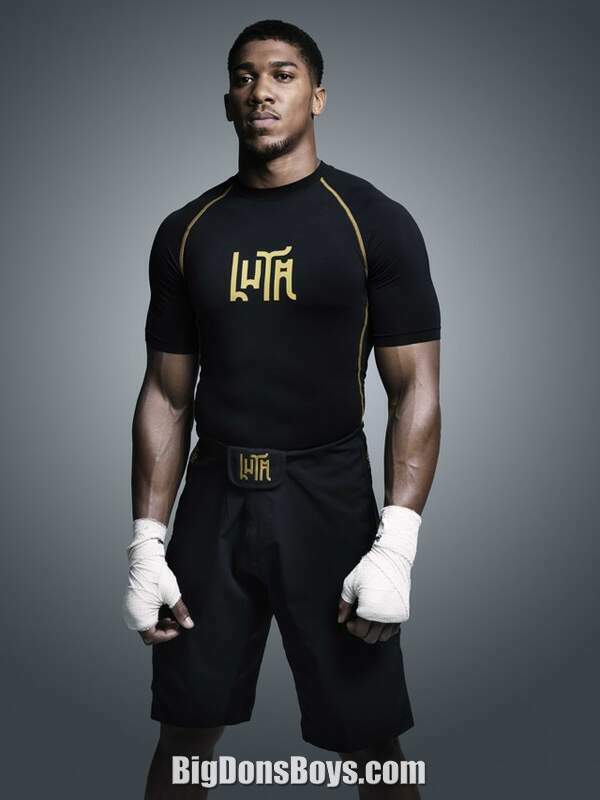 En route to the final, Joshua secured his place at the 2012 Olympic Games in the 91kg+ division as a relative new-comer to the elite level of the sport. 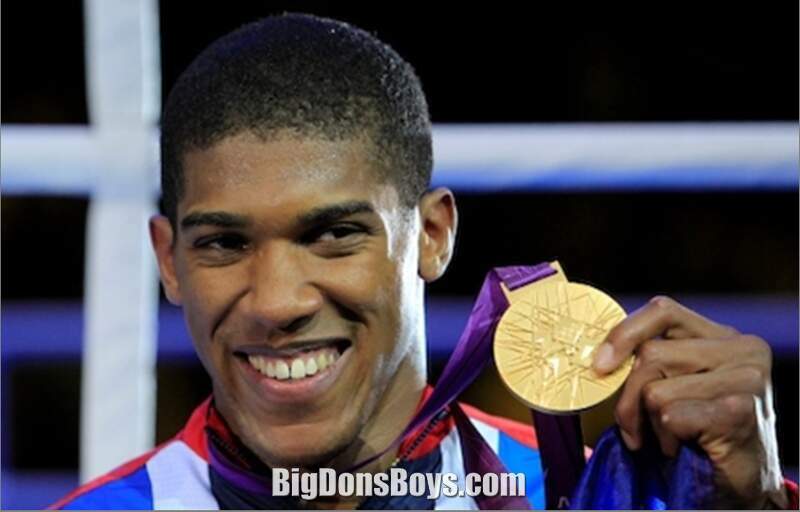 Joshua went into the 2012 London Olympics as a novice on the international scene, despite being a world silver medalist. 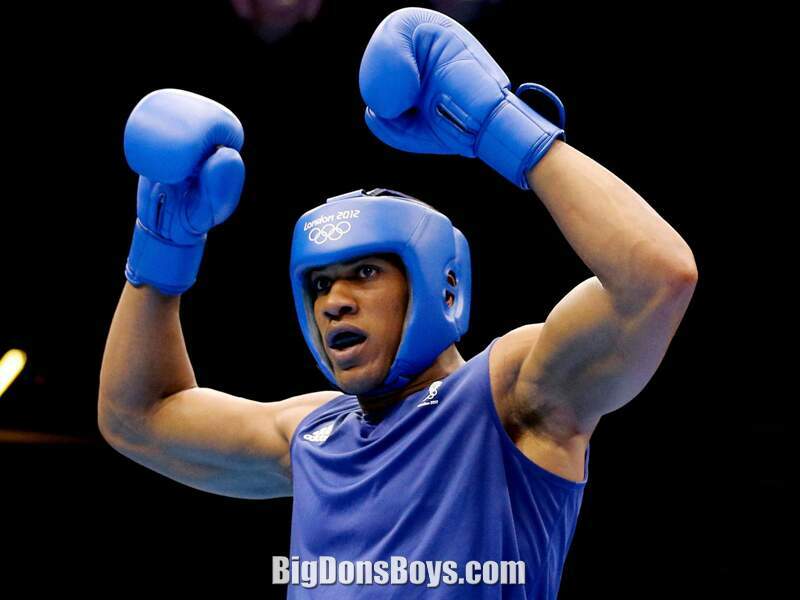 He received a tough draw in the last 16 of the super heavyweight event, in Cuban Erislandy Savon, ranked #4 in the world by AIBA and nephew of the three time Olympic champion, Felix Savon. 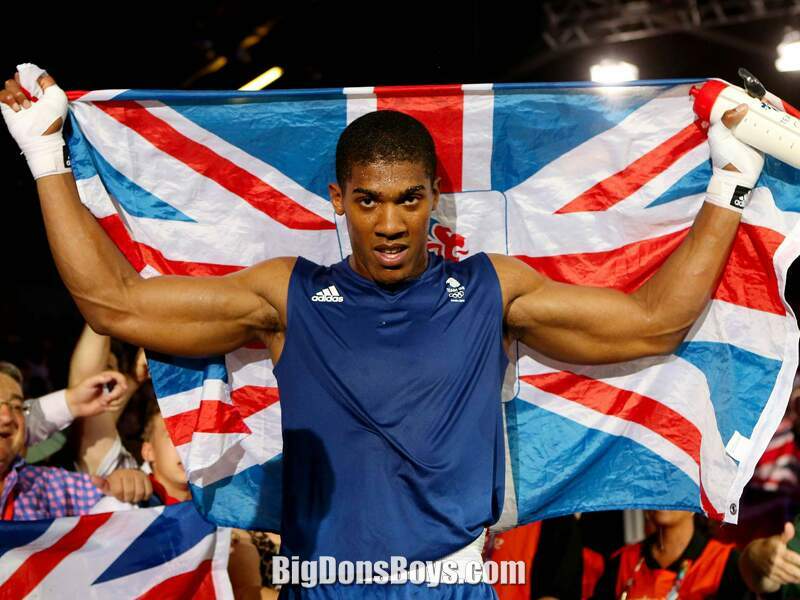 The home boxer battled through three tough rounds in his opening contest before being given the result 17:16. 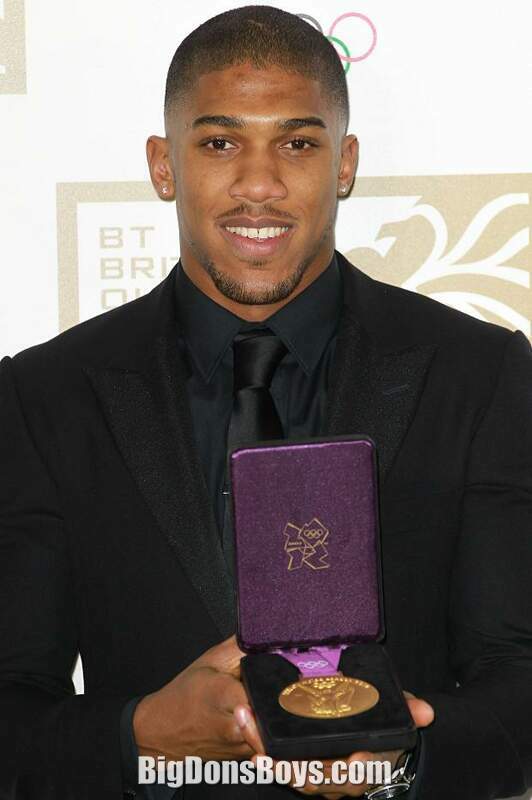 This decision caused some controversy with some observers believing Savon had clearly won the bout whilst others taking the view that he had won on merit.8 In his next bout he fought 2008 Beijing Olympics silver medalist, Zhilei Zhang dropping his taller opponent in the middle round, Joshua won by 15:11 guaranteeing at least a bronze medal. 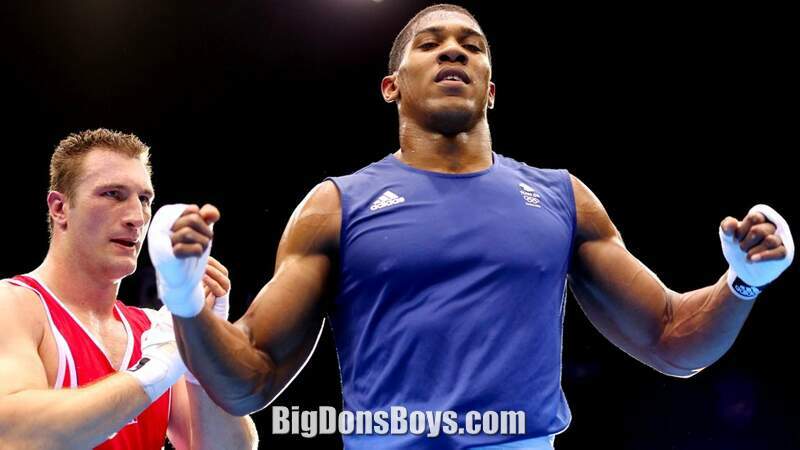 In the semi-final Joshua met Kazakhstan boxer, Ivan Dychko, but despite Joshua's height disadvantage he won by 13:11 victory gaining a place in the Olympic final. 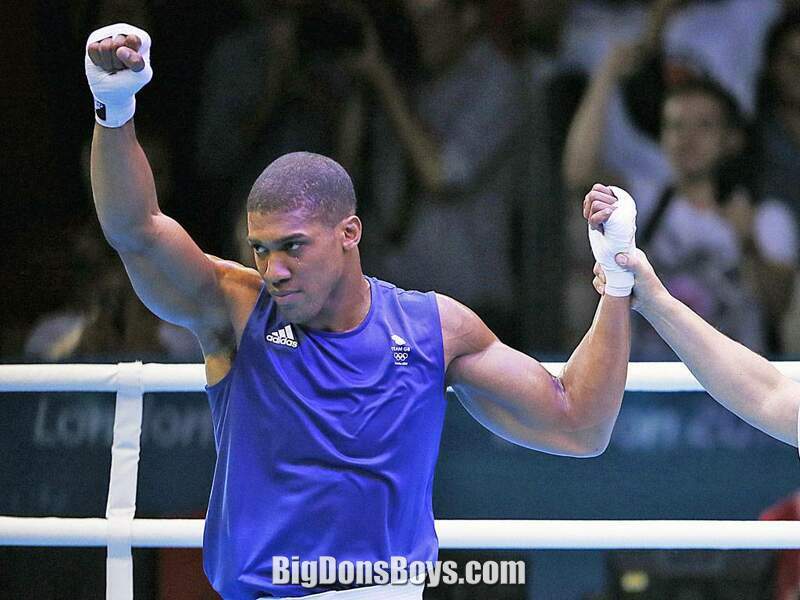 Joshua met 32-year-old reigning Olympic Champion and former twice World Champion, Roberto Cammarelle of Italy in the closing bout. 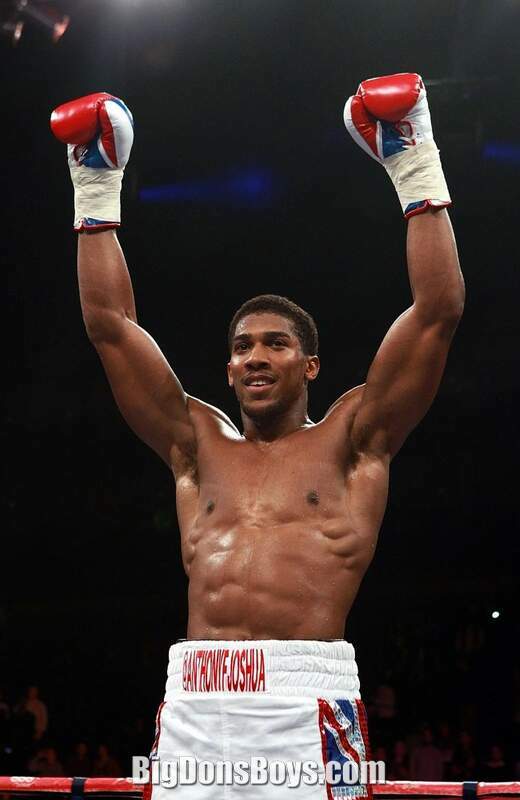 After conceding the first round to Cammarelle, a man he had already beaten the previous year, Joshua grew into the fight and fought back to level the scores after the third round, Joshua was announced winner via count-back and the new Olympic champion. 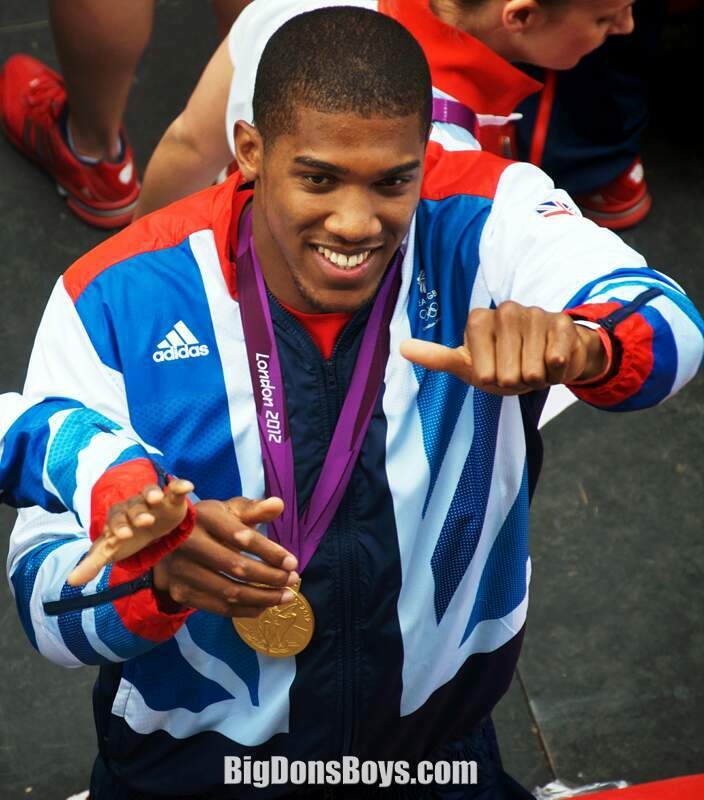 During the Olympic Games, Joshua was assisted by GB Boxing coach, Paul Walmsley. 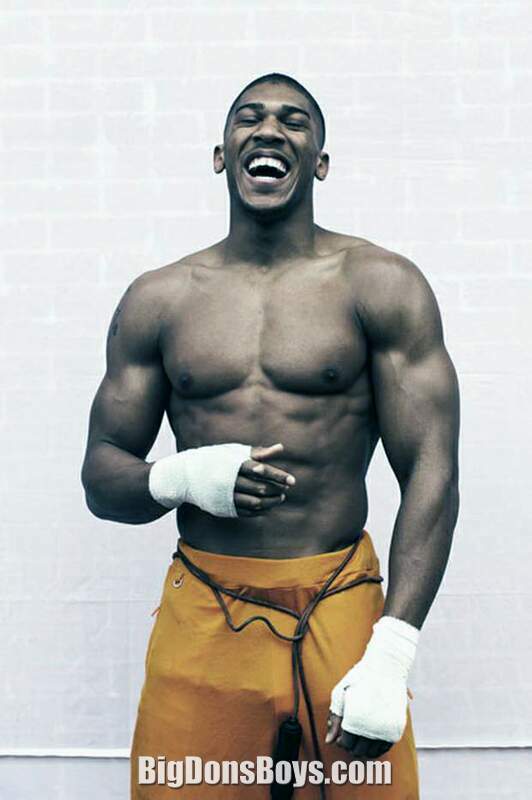 After the triumph, Joshua vowed to remain level-headed, "If fame comes I'm going to be okay with it, but I don't want to be hyped up and made out to be something I'm not." 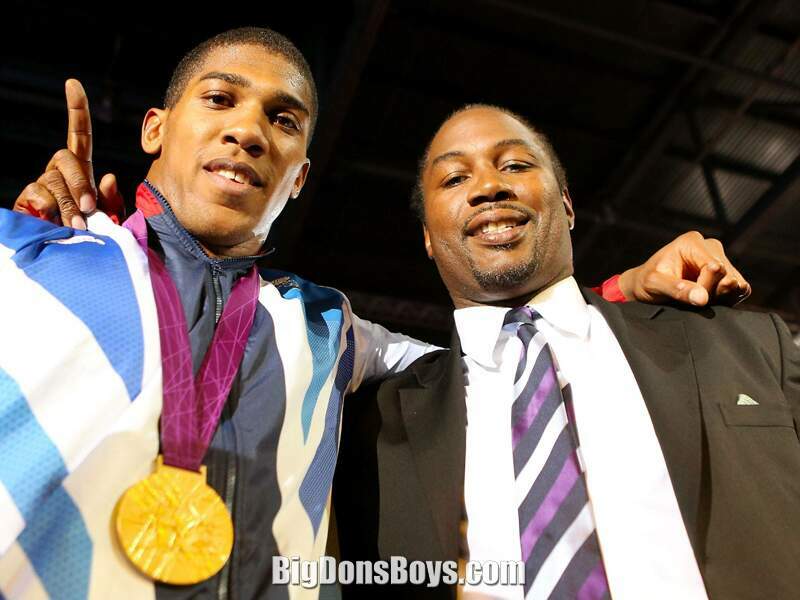 He was appointed Member of the Order of the British Empire (MBE) in the 2013 New Year Honours for services to boxing. 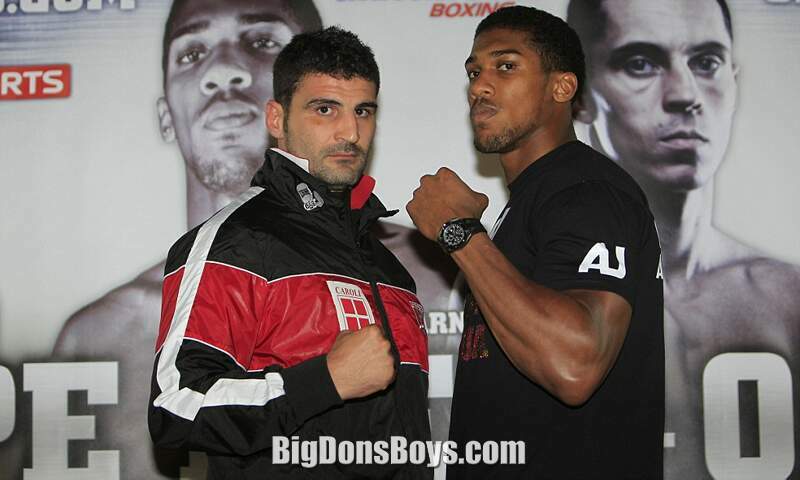 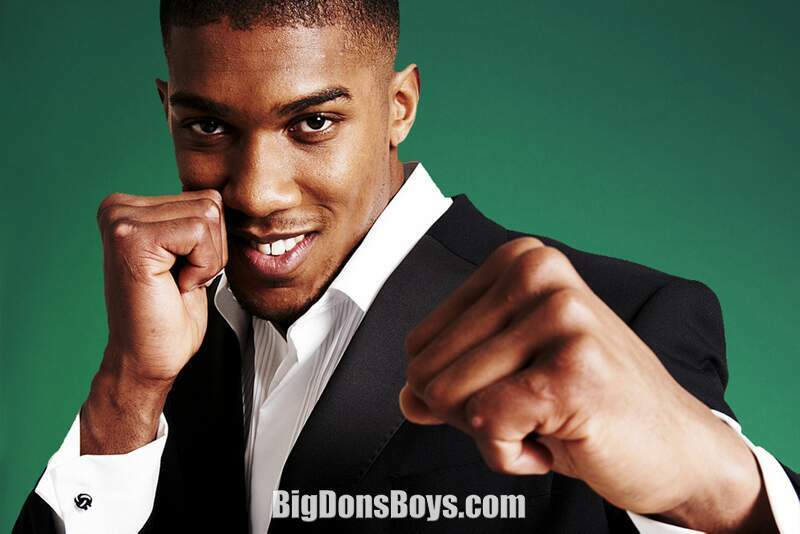 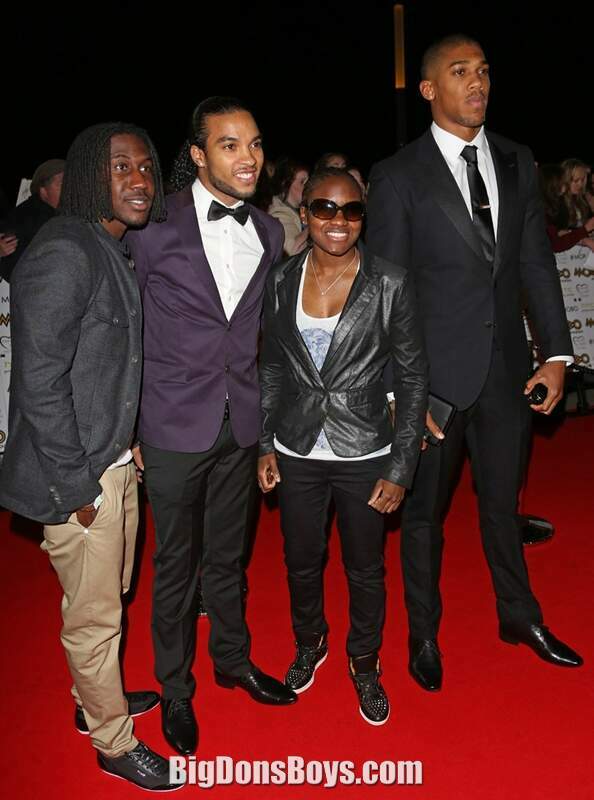 On 24 July 2013 it was confirmed that Joshua had turned professional under the Matchroom Sport promotional banner. 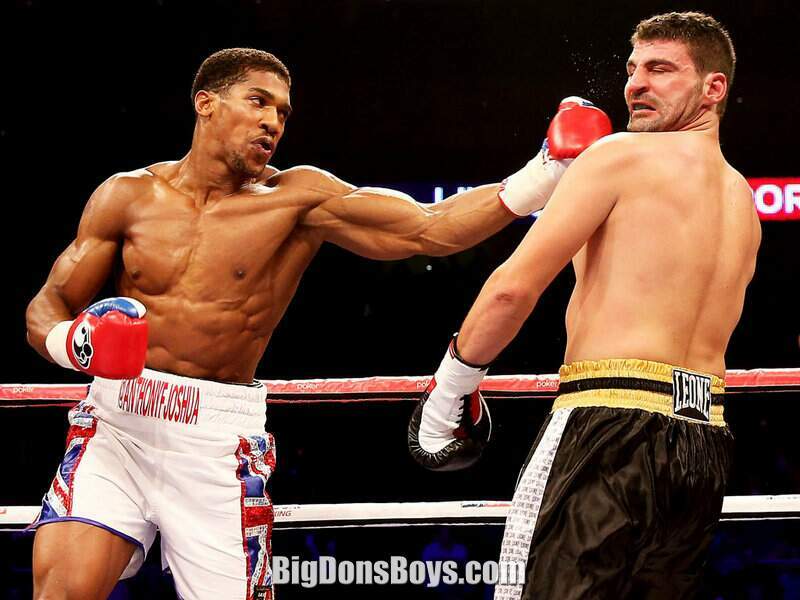 Joshua made his professional debut on 5 October 2013 at the O2 Arena, London beating Italian Emanuelue Leo by a TKO in the first round. 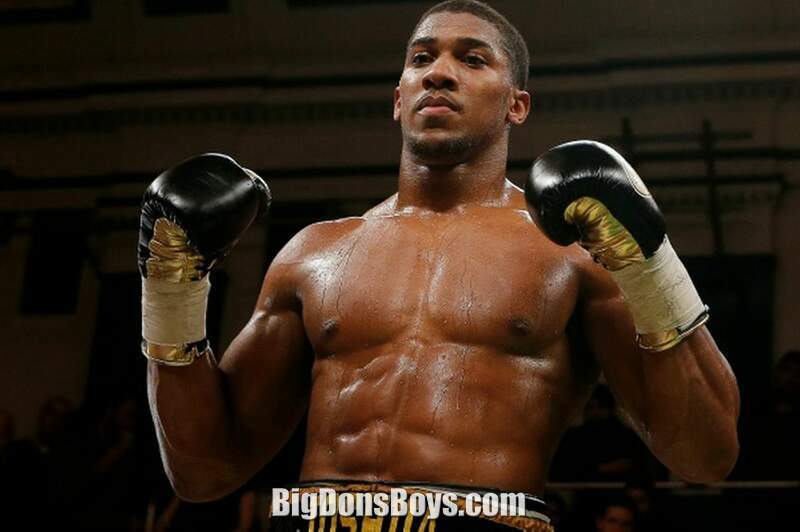 Joshua's second professional fight was against English Heavyweight Paul Butlin at the Motorpoint Arena Sheffield on 26 October 2013. 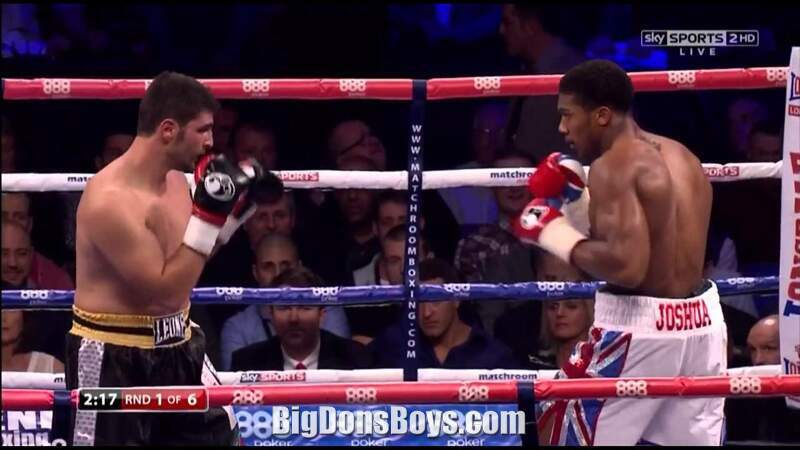 The bout was stopped in the 2nd round when the referee decided Butlin was taking too much punishment and declared Joshua the winner by TKO.13 Anthony Joshua's third professional fight was on the Prizefighter Series card against Croatian Hrvoje Kisciek, on 14 November 2013. 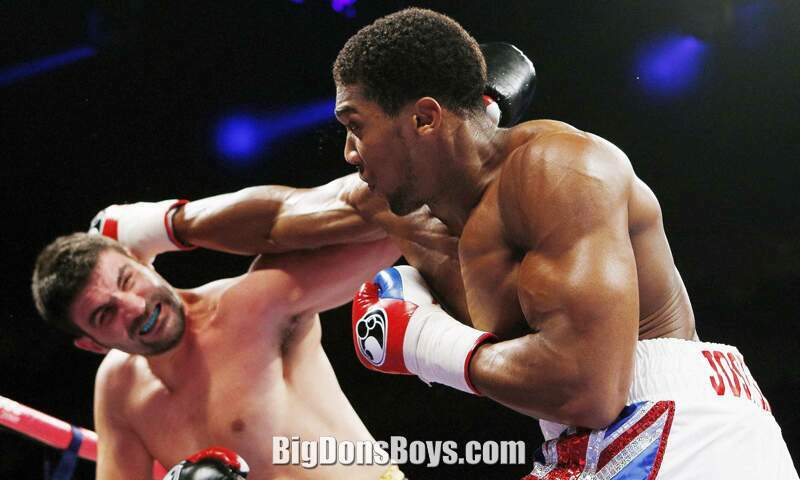 Joshua got a TKO victory in the second round, achieving his third knockout victory in a row. 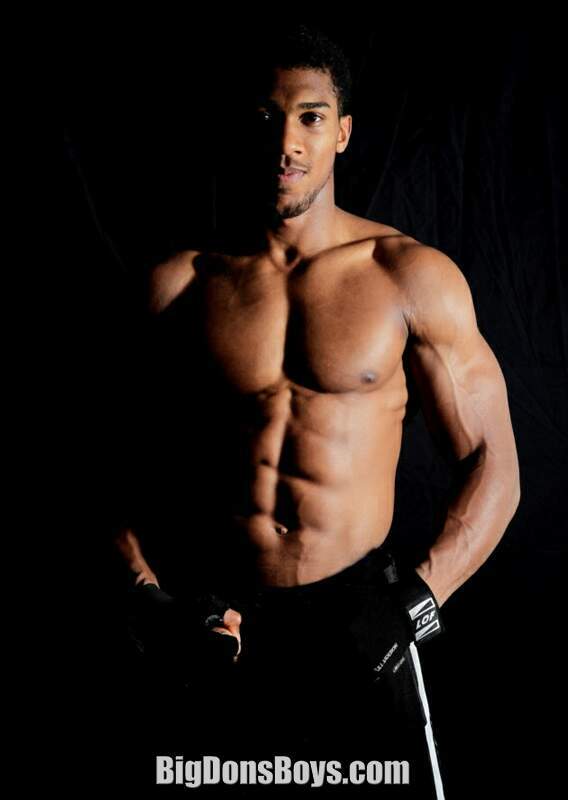 Anthony has two scheduled upcoming fights. 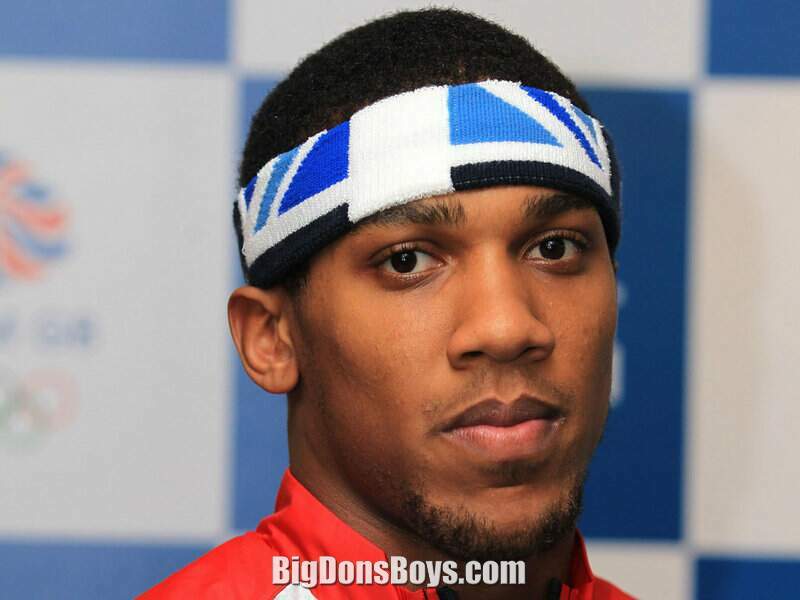 First, on 1 February 2014 against Dorian Darch on the undercard of Lee Selby vs Rendall Munroe. 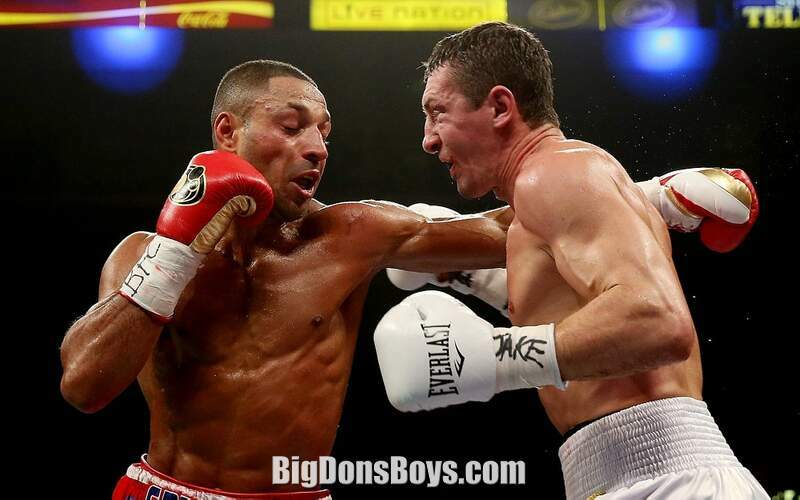 Then, he faces Hector Alfredo Avila on 1 March 2014 on the undercard of Ricky Burns vs Terence Crawford. 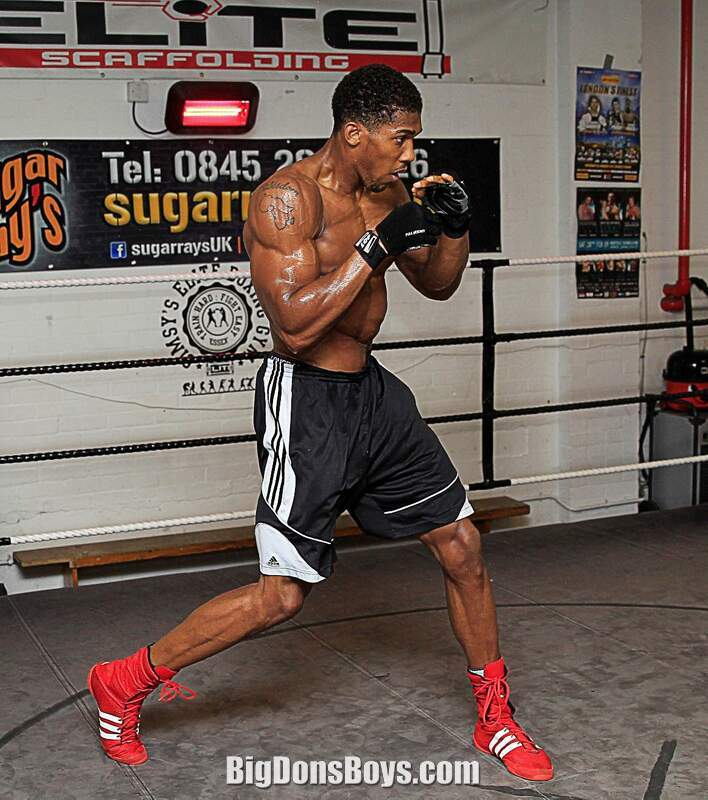 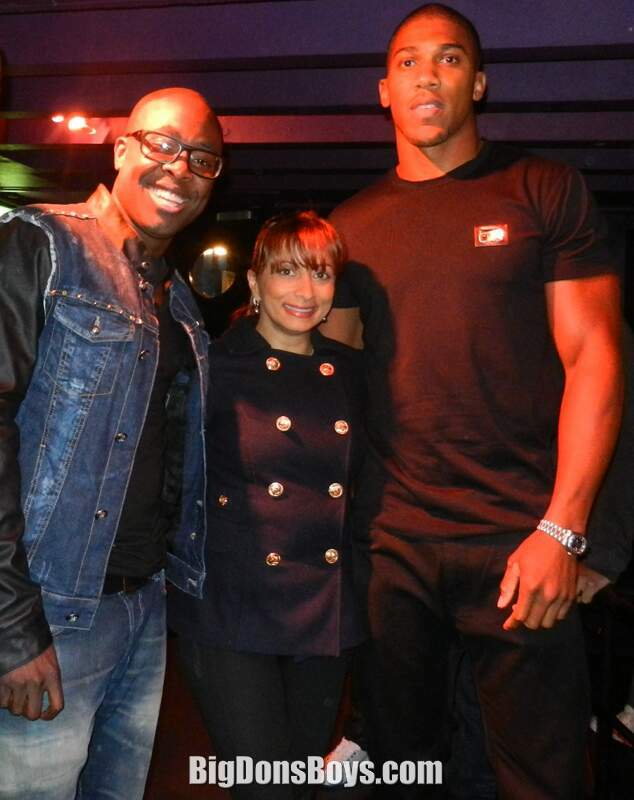 Fighter Anthony Joshua boxes and works out at "Simsy's Gym" with owner Tony Sims.